You might have recalled from my last post that I found two fabrics to build a whole house color palette from. Today, I’m focusing on the second fabric which I think is particularly beautiful. However, it is lending itself to a gray, trendy color palette. I’m going to show you how I used The Laurel Home Essential Paint Color Collection, combined with several other fabrics to come up with a unique whole-home color scheme that just happens to be a super trendy color palette. The trend is gray and the twist is gold. First, I went “shopping”– online. Since I’m “in the trade” as they say, I went to e-designtrade.com. They carry several lines including Kravet, Brunschwig and Fils, Lee Jofa and a bunch of other great designer fabric companies. If you’re not in the trade, there are several sources online that carry these fabrics, or you can look individually on their consumer websites. I also went to F. Schumacher where the luscious beauty above came from. This company may have been around for well over a 100 years, but there isn’t anything remotely tired, stodgy or dated in this unbelievably gorgeous collection. I put some of my faves on a board. 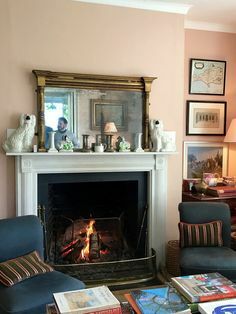 This doesn’t mean that all of these or any of them will go in this home, but it’s a great start when wants a beautiful, classic whole-home-color-palette. You don’t have to put your fabrics on a board; you can just keep them in a folder. But I put them on a board so that you can see them more easily. Believe me when I tell you that this is only about a third of what I saved! Also, this is an exercise, not necessarily fabrics I would put together in one room, but many, I definitely would. And from here, I was able to select colors from the Laurel Home Essential Paint Collection to create a wall color palette for the entire home. All paint colors by Benjamin Moore. And no, there is no sponsorship, because I was told, “we don’t do that.” Maybe one day! To be clear– while the colors are on the floor, these colors go on the walls. I think a hardwood floor, something like this would be gorgeous. To replicate this color, you might try Minwax English Chestnut. But if I stress testing your paint colors, I triple that with hardwood floor stain. And then, it’s still a bit of a crap-shoot; just because of the nature of hardwood floors. 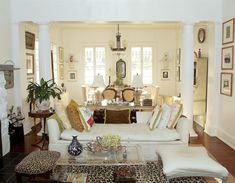 For the trim color, I selected Benjamin Moore WHITE DOVE oc-17. Must get outside. It’s a gorgeous spring day! I have been reading your,blog for a year or so, and have been reassured by your ben Moore paint choices. However, my local supplier had hired a few rude sales people so I decided to pursue other options. I found a site online that lets you create your own paint color. Great! I wanted a gray with more pink/brown. I created the perfect gray, but color scan doesn’t work digitally. BUT Sherwin Williams was amazing!! Not only did they help me figure out a color very close to the one that I “created” BUT I needed much less that Ben!! I covered flat paint wall that bright pink and lime green with one coast and it wad no voc paint. Actually, if the fabrics are not all from Schumacher, would you mind terribly listing the manufacturers of all of these beauties? rooms! Oh my word, as my Swedish grandmother used to say. The kitchen in those two colors I use – smashing. And Jenny’s post of the gray, beige, cream, gold is so very true. Bedroom of J Reed – is perfection in my opinion – the bed, and all the furniture oh my wouldn’t I give a pretty penny. That black bedside table is so terrific. And then A Whittker room ditto. 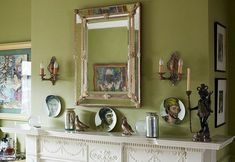 Love the mantle styling. Thanks Laurel – we can always count on you to show us the very best of the best. Best to you, wishing you a wonderful summer! Love gray and gold..or gray and beige..or gray and cream..